. . . Please sign your work, I feel it may be worth something someday. True story. Created with said program. 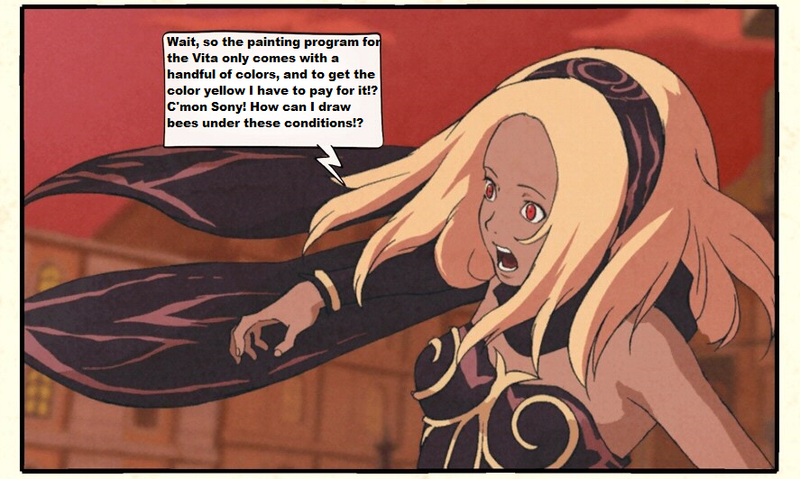 This entry was posted in Bees!, Blog, Blogging and tagged Art, god, gravity rush, heaven, joke, picture, sony. Bookmark the permalink. I am in Love (A journal entry). Why aren’t pet squirrels more of a thing?